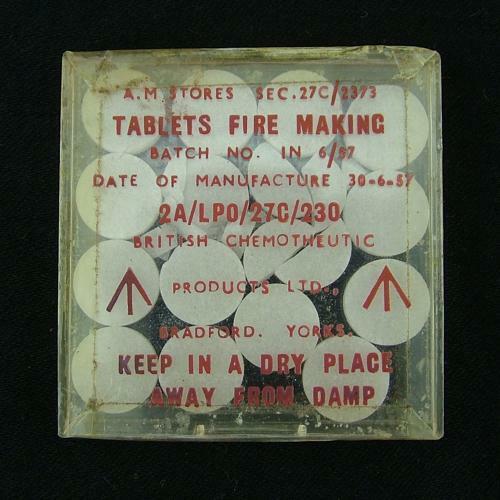 'Tablets, Fire Making'. Stores reference 27C/2373. Manufactured In June 1957 by British Chemotheutic Products Ltd., Bradford, Yorkshire. Small plastic box approximately 5 x 5 x 0.6mm. Contains 16 fire tablets. A few of these are broken, otherwise in good unused condition. Issed as part of personal and aircraft survival kits. Stock code S19046.